Your pool plays an important role in your household. Here in Florida, you know how hot and muggy it can get during the summertime, and how a swimming pool can provide the relief necessary to cool off. With a pool in your backyard, you have the opportunity to hop in and find relief during the sweltering summer days, whether that be by yourself, with your friends, or your family. Using your pool on a weekly and even daily basis is a luxury, but owning a pool also comes with a responsibility — that is, cleaning, maintenance, and repair. Keeping your swimming pool in top condition year-round is essential for the quality and longevity of the pool itself, as well as the health and well-being of you and your family. Investing in regular pool cleaning, both year-round and during the spring and summer months, is a critical aspect of owning a pool. 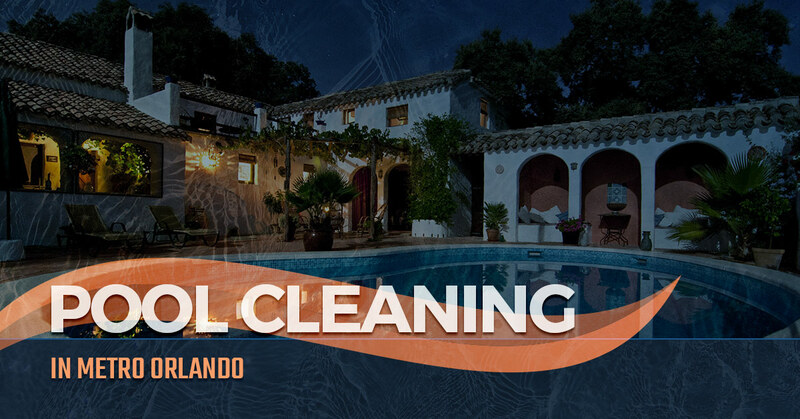 When it comes time to call the pool cleaners, there’s only one place to call: Florida Pool Care Pros. Our full-service pool cleaning will keep your swimming pool in perfect condition so that you can focus on what’s important — cooling off with a splash! As professional pool cleaners, our pool care solutions are tailored to meet your needs and budget. Don’t hesitate to contact Florida Pool Care Pros today to get the pool cleaning process started. How well the water in your swimming pool circulates is essential for the overall cleanliness. With proper circulation, algae and bacteria won’t grow as quickly because the water is flowing the way it should. The proper chemistry will ensure your pool water stays perfectly balanced and healthy. Your pool cleaner will know which pool chemicals to use to properly balance the water so you can enjoy a splash without worrying about bacteria in the water.